A personal injury can be devastating psychologically and financially, with often exorbitant medical bills, loss of income, and permanent disabilities. Insurance companies work very hard to minimize the compensation that they provide to seriously injured individuals. After a serious accident, it is critical to hire an experienced attorney who can guide you through the claims process and file a lawsuit if necessary. 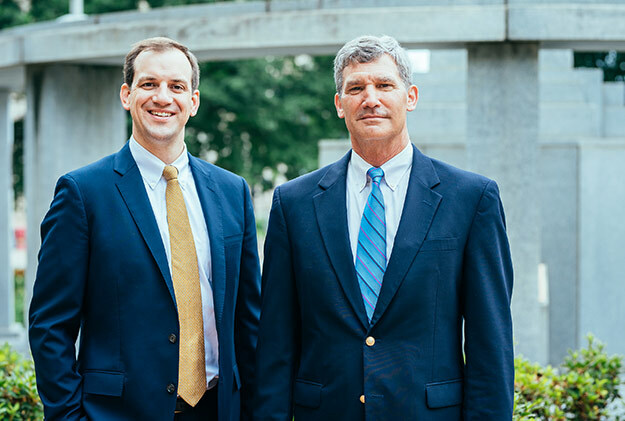 Miller Monroe & Plyler has experience handling personal injury claims resulting from auto accidents, motorcycle accidents, and other negligence claims in North Carolina. If you were in a serious accident and need a lawyer, contact Miller Monroe & Plyler. How Will Miller Monroe & Plyler Handle Your Personal Injury Claim? If you have been wronged, Miller Monroe & Plyler can help you determine whether you have a valid legal claim. An attorney will sit down with you for a free consultation to discuss the facts of your case. At the end of the meeting, the attorney will tell you whether or not you have a case. At this point, you will have the opportunity to hire Miller Monroe & Plyler to pursue your claim. Miller Monroe & Plyler will research your case and send a demand letter to the defendant. Miller Monroe & Plyler will negotiate with the defendant in an effort to resolve your claim without going to court. If the defendant offers to pay you an amount that fairly and reasonably compensates you for your damages, you may decide to accept the offer. If you are not satisfied with the offer, Miller Monroe & Plyler will meet with you to consider all of your legal options. If after this meeting you decide to file a lawsuit, Miller Monroe & Plyler will draft and file a complaint to begin the litigation process. From this point on, Miller Monroe & Plyler will manage your case and take it through trial. We will perform depositions when necessary and handle any and all communications with the defendant and his or her attorney. We will do everything in our power to ensure that you have the best chance of succeeding at trial. At Miller Monroe & Plyler, our only goal is a resolution that fully satisfies our client. In your time of need, Miller Monroe & Plyler is here to help you recover compensation for the death of a loved one. Filing a wrongful death claim and determining the amount of compensation your family deserves can be extremely complicated and emotionally difficult. Miller Monroe & Plyler will ease your mind and assume the burden of this process.